Established in Nottingham in 1979 the practice aims to provide a high standard of osteopathic care to patients of all ages. The philosophy adopted by the practice is to use an entirely hands-on approach to treatment guided by a highly developed sense of touch. Furthermore, the osteopaths favour the use of gentle treatment techniques which are particularly useful in the treatment of younger patients. 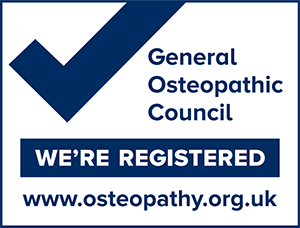 All osteopaths are fully qualified and registered with the General Osteopathic Council. The General Osteopathic Council (GOsC) regulates the practice of osteopathy in the United Kingdom. By law osteopaths must be registered with the GOsC in order to practise. The GOsC works with the public and osteopathic profession to promote patient safety by registering qualified professionals, and setting, maintaining and developing standards of osteopathic practice and conduct. Nottingham Osteopaths is committed to upholding the highest practice standards, helping to ensure our patients experience the best in osteopathic clinical care. Practice hours: Mon to Fri 9.00a.m. to 6.30p.m. Ian Schofield graduated from the British School of Osteopathy (B.S.O.) in 1994, and as well as joining the team at Nottingham Osteopaths, he practices in London at Covent Garden Osteopaths.